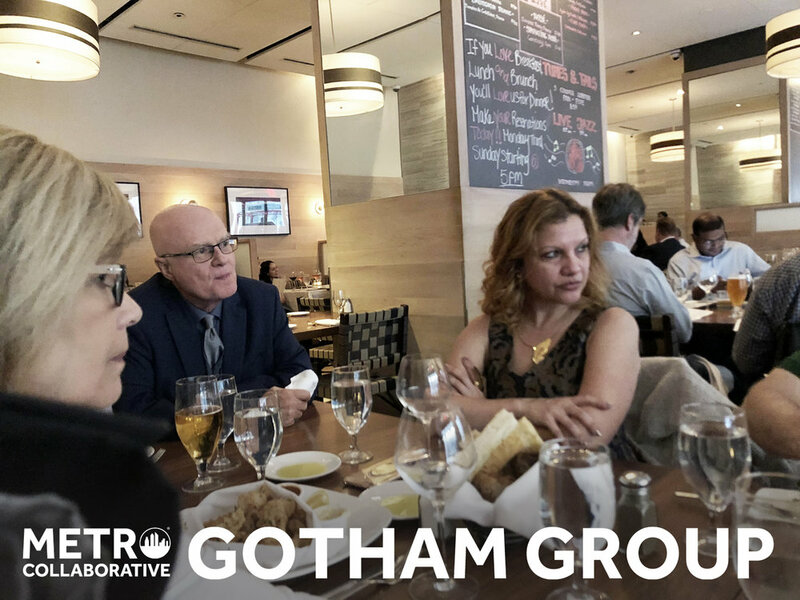 We celebrated The Metro Collaborative Interdisciplinary Gotham dinner @ Sarabeth's NYC/ 27th St and Park Ave So. Our eclectic dinner group, celebrating its sixth year, found numerous ways to collaborate with oral facial myology, sleep apnea, innovative chiropractic, relationship therapies, osteopathy, classical homeopathy and interdisciplinary practice integration and logistics. We welcomed Dr. John Brown D.C into the group, who outlined a few new treatments for neuromuscular issues.